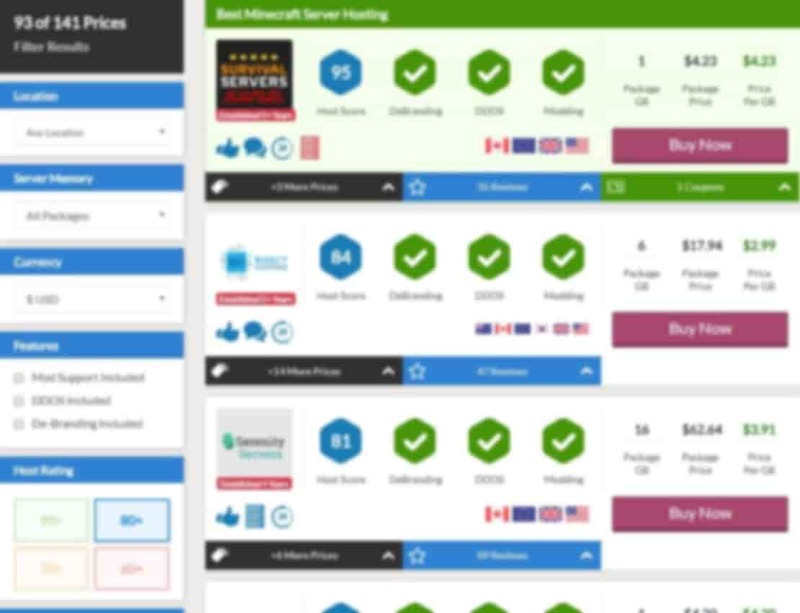 Our list of Minecraft server hosting providers serves the sole purpose of saving you money. You are able to see prices and features side-by-side with company reviews only a click away. Make sure to check that the company offers easy install mods and 1 click updates. A great hosting company will pay itself off over time thanks to their reliability. 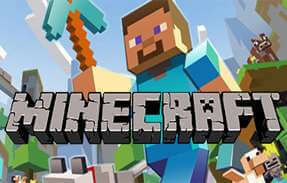 Minecraft is the most popular sandbox game in the world with a community bigger than any other. The game was originally created by Mojang and then bought out by Microsoft for $2.5 billion in 2014. Minecraft is available across a wide range of devices. 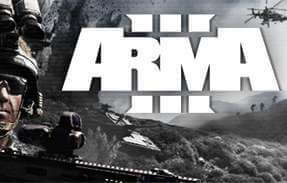 You can buy copies of the game on mobile devices, computers and the major game consoles. The game lends a lot of its constant success to the ability it has to morph into whatever game people want it to be. Anybody can crack open the code of the game and make changes. “Modders“, map makers and skin editors the world over work away at this art. This “modding” is the key to keeping the game fresh and attracting new players. In Minecraft the player starts out with very little in the way of resources. By using the in game workbench, players craft simple tools and weapons. These improved tools aid them in acquiring more exotic materials. The improved weaponry and armour assist the player in battling larger foes. Players must build a base and equip themselves with the equipment needed to survive. Night time is when the monsters appear in large numbers. The mobs that swamp you in the dark add an element of difficulty to the game. Some people prefer not to fight with monsters and see their creations destroyed. An annoyance in the game are angry green walking mobs called Creepers that explode when near you. These players switch from survival mode over to creative. In creative mode you can float around the map and have access to as many of each resource as you want. This mode is great for experimenting or focusing on building beautiful structures. Minecraft server hosting is necessary to keep a persistent world online. This private server will allow anybody around the world to join. 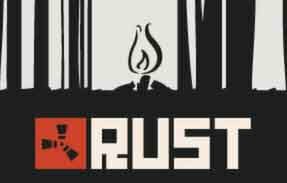 It runs 24/7 and ensure that the players content (such as structures and mined resources) are kept safe. Trying to run a server on your own computer means that you will need to keep your computer on all day. You also need to ensure there are no interruptions to your internet connection. You also use up resources on your machine hosting the game and thus harming your performance. As you can see, doing a DIY job on you Minecraft server is hardly worth it when the cost of it is so low. 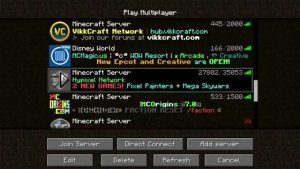 Before Minecraft was popular, hosting companies simply provided a space for your game. Now, you can gain access to an amazing array of easy tools to manage your game without any coding. It was only when the explosion in popularity came did specialist providers spring up. These expert niche providers who only sell Minecraft hosting started developing custom platforms. You now expect a provider to have a custom built control panel. These custom platforms allow you to easily and instantly install ready made code. This code may include mod packs, maps and skins. Most panels feature the ability to maintain players and view stats live. Who is Best and Who is Cheapest? 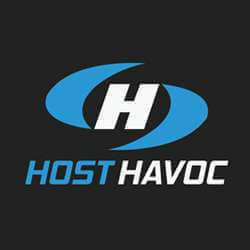 We have watched Host Havoc grow into an industry leader during our time comparing hosts. With what started out as a one man summer project spawned into a massive team. Host Havoc owe this to their attitude towards customers as well as their technical know how. If you are looking for an established game host who knows the games they offer then Havoc is the best choice. They don’t offer a huge catalogue of games like providers, like GameServers.com. The games they do offer though, they know inside and out and have specialised in. From what we have seen, Host Havoc tend to bend over backwards for their customers. If you browse through their reviews on this site you will find it difficult to see anything negative. Take a look yourself and its doubtful they would put you off going with them. They do usually sit in the cheap end of the MC server pricing range. Although Host Havoc are sometimes beaten on price the service stands out above the rest. If you are shopping purely based on price, using the list that we maintain above as a guide shows you most providers have a floor of around $5 per GB. 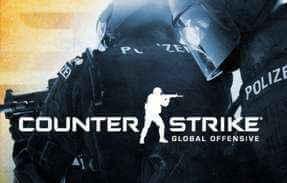 A few of the names that sit at the top of the price list include Enderman Hosting, Rox Servers and Host Havoc. Havoc is the company that we deemed as our favourite to hold the Best position – Host Havoc. If you can pick a provider that is under $6 per GB per month then you are looking at the lower end of the prices. Going any lower and you will probably end up with sub-par performance. Not being able to connect or experiencing performance issues with your server is annoying. When all you want to do is play a game you love it is probably not worth sacrificing a dollar or two for. Unless you are playing standard Minecraft (which pretty much no one does anymore) you will need modding support. Having mod support built into a control panel so that you can do it when you need it is important too. A few companies provide this service but you need to get in touch with them through a support system. Talking to support staff to get things done can take time. That precious time you are wasting could be spent playing on the server that you are paying for. Another important but widespread solution available is the ability to change the map. A lot of Minecraft hosts have a bunch of maps ready for you to choose from. You should be able to find a map choosing option in the control panel or when you first buy your server. Even though the map in MC is procedurally built a custom map can take away risk. Sometimes you can spawn in a world with a weird map that you will want to reset once you have explored it a little. Although the internet is lightning fast, it still has limits. You will experience lag if you are far away from your Minecraft online server. As a rule of thumb you should really be within the same continent as where your machine is kept. An even better solution would to be in the same country or state. A really good provider will be able to move your server around the world if you require them too. You may need it moved due to you relocating home or the fan base you acquire live in different areas worldwide. As your server becomes more and more popular you will want to add more resources to your package. Usually Minecraft server hosting is sold by the GB which is in reference to the RAM it has access too. As your game peaks with more and more players and you install more mods, the RAM usage will increase. As this happens you will need to start paying for an upgrade. Most providers allow you to use as much CPU as you need to (within reason). Although you have access to a lot of CPU, you may want to pay to to increase your priority over other servers. Being able to easily order more RAM for your server is a must. This ability is available from all every game server provider we compare prices for (as far as we are aware). The story of Minecraft is quite a unique one. Not very often does a game get bought out by another company for such a huge price tag due to games losing audience. This is thanks to the way that the game allows modding. Modding makes it easy for the public to add and evolve the game themselves (rather than the company that owns it). Many other game developers took the same approach after seeing Minecraft’s success. The way it works with most games, is that to add features, the developers would need to justify the changes with sales. Its only once all of the department in the company agree that the changes will make money will the work go ahead. With free coders working towards the same goal it doesn’t matter if the mods are profitable. 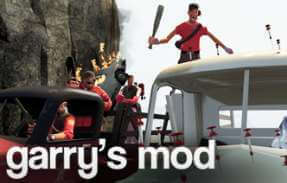 The main issue is whether the mod will be fun to play for them and people around them. Mojang was the name of the original company that built and then sold Minecraft. 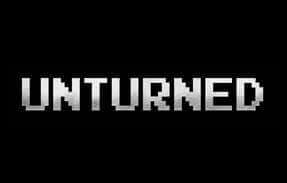 It all started with one main person leading the project named Markus Persson. The simpleness of the game meant that it did not need a lot of developers and artists. The most important factor was that it was a good idea and somebody had the passion to get it built. The game spread like wildfire through the internet and ended up storming the charts. The large audience is due to its generic attraction to all groups of people. Much like how the Sims franchise of games remained the best sellers in the PC world for years, Minecraft enjoyed similar success. The fact that the game is on all the major consoles and keeps receiving updates adds to its reign at the top. Microsoft saw an opportunity to be able to milk the game for money if they bought it. It seems since purchasing the game they have taken advantage of the franchise.. They brought out more and more real-life products in toy shops, a movie and more game modes that people can buy. Microsoft are currently putting the work into making the Minecraft hosting cross platform. As of now (early 2018) you are unable to make a mobile Minecraft (or Pocket Edition as its known) server work with PC versions. The main issue is because of the mobile versions broken down and simplistic nature. The mobile version of the game has cut out many of the device resource hogging elements. You don’t have access to mods and advanced resources in the mobile version. Its hard to imagine that anybody would talk ill of the game Minecraft. The game is a genre smashing title that changed the way people played online. Its even harder to find centralised reviews for the game like it is for games on Steam for example. 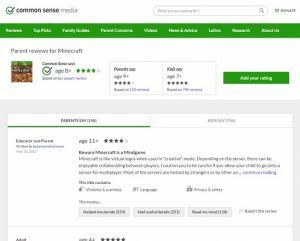 Most results on Google for Minecraft reviews are for publications giving their opinions. We did find one place for reviews and among the 33 currently written only 1 is negative, check them out for yourself. A lot of people who review the game for magazines and websites talk about the educational side of it. This is most probably because most gamer’s don’t need to read reviews of the game. Most gamer’s know they want it based on videos and pictures as the game is pretty self explanatory. Our guess would be that it is to do with the parents searching. The game has become an addiction to some, especially to children. This addiction could be in part to how the game allows you to do whatever you want without boundaries. The scary thing is that the game lets you be who ever you want online and once you pass the barrier of where you prefer that life to this one… you enter an addictive trait. When Minecraft rose to fame many other developers tried to mimic the success without much joy. The companies that looked at what made Minecraft great and then tried to use those elements did do well. The following titles used elements but added to the end product in their own way. A new breed of games did have some success such as Terraria, Scrap Mechanic and Starbound. 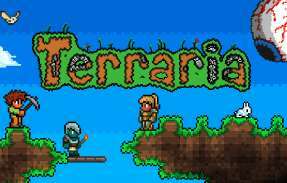 Another game that revolves around blocks, recourse collecting and crafting is Terraria. This game is also popular among the younger generation and its simplistic style of play. A simple game makes it easy to sit back and enjoy without stress. In this game their is a lot to see and do. 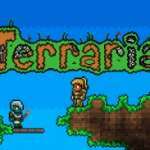 Instead of Terraria being in a 3D world like Minecraft its side on 2D like the old Mario games for example. The challenges that appear in this game are the monsters and hazardous materials. Other players can also slow you down by killing you (if you are playing multiplayer online). 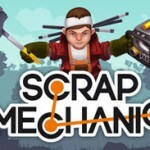 If you are all about the mechanical side of things and see yourself as an engineer then Scrap Mechanic is an awesome game to get into. The game does have blocks like Minecraft but currently lacks any survival elements. This is due to it being in the Steam Early Access program but the developers say its due soon. Once Scrap Mechanic gets survival mode and you need to fend off monsters the game could see a huge jump in players. In Scrap Mechanic you focus on individual creations like vehicles instead of structures. This can lead to fun situations like challenging other players to build a race car. You could then take your race care and see who can get from one side of the map to the other quickest. 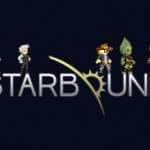 Another blocky craft and survive game like Minecraft and Terraria is Starbound. This game has enjoyed a large player base that keeps coming back again and again. The title allows you to collect resources and then build bases. You also fight monsters and battle other people on servers all around the world. Many hosting companies offer packages for this game. The ease of hosting is apparent as the resources needed are relatively low due to the slow pace of the game. Also, the dedicated server files for the game are pretty stable. Starbound hosting providers don’t need to spend much time offering support to customers reducing costs. We don’t just have the most up to date and practical Minecraft game hosting price list on the internet. We also have a very useful Minecraft server list. Our sister site BestServers maintains a list of machines running Minecraft games worldwide. With easy to use filters and data/banners that help you find your ideal game to join in on from thousands of listings. With many people owning cats or wanting one in real-life, the idea of adding cats to Minecraft feels like something that should have been done a long time ago. Mojang have announced that they are running a competition open to the public to have there cat used as the skin for the cat model being added to MC soon. All you have to do is ensure that a photo of your cat is publicly available for the team at Mojang to see, more details on the “Read More” button to the left. With the new and awesome Aquatic update you can now explore a wealth of new stuff underwater. In this update we also talk about the changes to the official Minecraft hosting service Realms. Its the kind of thing our dreams were made of as a child, playing games in school is now an official thing and Minecraft have released a special version to use in the classroom. Mojang created individual lessons that are made easier to understand through the use of Minecrafts simple block mechanisms that aid the teaching process. All sorts of subjects can be taught using Minecraft: Education Edition, from economics to history and logic gates. This version of the game appears to have its own server hosting system built into it to make it easier for teachers to get lessons moving forward. In late 2015 a story based Minecraft version was released called story mode that hit both PC and all of the major gaming consoles. 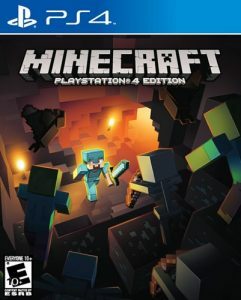 Using voices of famous actors such as Paul Rubens (think Pee Wee Herman) the game was a chance for people who were getting tired of the same old sandbox rhetoric that Minecraft is built on to push further with the game. 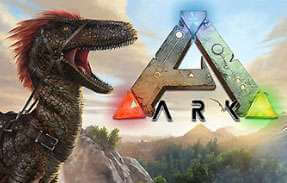 As the game isn’t actually based on the Minecraft way of playing and that its a point and click adventure, you don’t actually need server hosting for it. Although getting hard to find now, Pixelmon was massively popular with the Pokemon community before Pokemon Go came along. If you can get hold of a copy of the mod then you can experience the magic of capturing Pokemon with balls while crafting as you usually would in Minecraft. For serious Minecraft’ers who love to build advanced systems their is Buildcraft, a mod created to allow for more flexibility in building modular automated machines. This mod also adds new resources like metals and oil that can then be refined using advance machinery that is also included with Buildcraft. A huge improvement on the traditional flying blind style of not knowing where you are going or whats going on around you is the VoxelMap mod. With this really useful mod you can see what mobs are close by in the layers surrounding you to avoid bumping into an Enderman or other hostile players when playing on a server.